Search Results for "rhythmic gymnastics"
Rhythmic gymnastics. 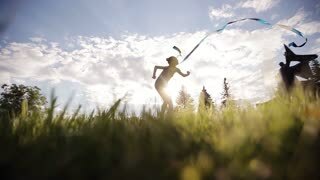 Dance young gymnast with ribbon on sunset sky background. Young girls are trained in the gym. 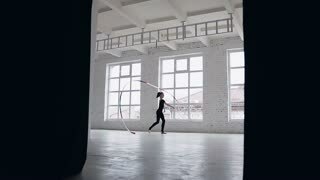 The exercises in rhythmic gymnastics. Dance young gymnast with ribbon on sunset sky background. Rhythmic gymnastics. Rhythmic gymnastics. Three girls warm up in the gym. 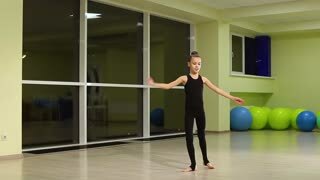 Cute female child artistic gymnast in black sportswear make warm-up and perform exercises in rhythmic gymnastics in sport gym. Rhythmic gymnastics for girls. Two slim attractive girls sisters artistic gymnasts in black sportswear do warm-up and perform exercises in rhythmic gymnastics in the gym. 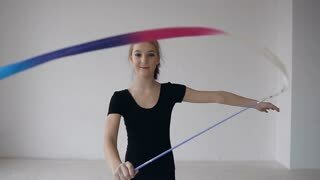 Rhythmic gymnastics for child and teenager. Orenburg, Russia - November 25, 2017 year: girls compete in rhythmic gymnastics on the Orenburg region Championship on rhythmic gymnastics "Winter melody-2017". Orenburg, Russia - November 25, 2017 year: girls compete in rhythmic gymnastics perform exercises with sports clubs on the Championship Orenburg region on rhythmic gymnastics "Winter melody-2017"
Orenburg, Russia - November 25, 2017 year: girl performs exercises with gymnastic hoop in rhythmic gymnastics on the Championship Orenburg region on rhythmic gymnastics "Winter melody-2017".